Every avid crocheter has faced problems--Help! This book contains detailed, illustrated answers to literally hundreds of questions, from the common to the more unusual. Covering the whole range of situations a beginner is likely to face, along with the problems that may arise for those working more advanced patterns. 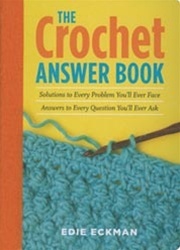 This book is packaged in a small, take-along trim size, in a friendly Q & A format.